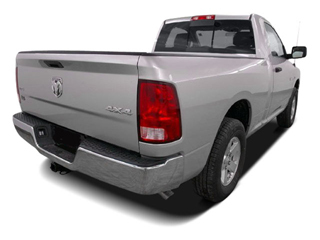 The all-new 2009 Dodge Ram 1500 full-sized pickup offers lots to like across a wide model range, with the right truck for every user. 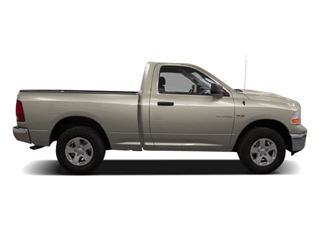 The Ram 1500 comes in three configurations: as a 2-door Regular Cab or in one of two 4-door cabs. The Regular Cab can be paired with a 6.4-ft or 8-ft cargo bed. Both of the bigger cabs use four conventional doors and will seat up to six people. The Regular Cab seats three. 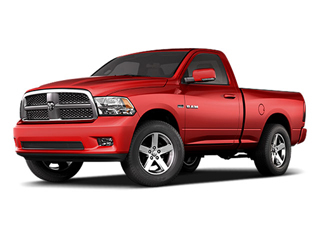 Across the model range, all Ram 1500s are available with either two-wheel-drive or shift-on-the-fly four-wheel-drive, and three engines power the line-up. The 215-hp 3.7L V6 is only available on 2WD Regular Cab models. Next is a 310-hp 4.7L V8 with E85 capability, while a 390-hp 5.7L Hemi V8 with variable valve timing (VVT) tops them off. A 4-speed automatic transmission accompanies the V6, and both V8s are mated to a 5-speed auto. Maximum towing capacity is 8,700 lb when properly equipped. The ST trim offers a split bench seat, a tilt steering wheel, air conditioning, an AM/FM/CD/MP3 stereo and automatic headlights. ST Quad Cabs include folding rear seats and power windows, locks and mirrors. Stepping up to the SLT includes alloy wheels, cruise control, cloth seating, an exterior thermometer, keyless entry and SIRIUS satellite radio. The SLT Regular Cab features power windows, locks, and mirrors, plus a manual sliding rear window, while the Quad Cab gets a power sliding rear window. Sport trim features 20-inch alloy wheels, bucket seats, aggressive dual exhaust and a special light group. TRX trim is an off-road specialty trim that includes all-terrain tires, SIRIUS satellite radio, a revised axle ratio with a limited-slip differential, tow hooks, fog lamps, and underbody skid plates. Top-of-the-line Laramie trim includes fog lamps, leather seating with a heated power-adjustable front seats, power-adjustable pedals, dual-zone automatic climate control, a heated, leather-wrapped steering wheel with radio controls, and a premium stereo with an in-dash 6-disc CD changer, iPod adapter, hard drive, and Bluetooth handsfree cellphone connectivity. Unique to the Crew Cab is Dodge's new RamBox storage system, which utilizes otherwise empty space in the side of the bed for lockable cargo units. The feature also includes a multi-position bed divider, which also doubles as a bed extender.